Deborah Metzger has built an extensive repertoire of directing, stage, TV, and movie credits. At the age of 15, she founded a musical theater showchoir, Musically Yours, which she led for the next five years, and over 500 performances, at locations all over the United States. A graduate of Point Park University, with a degree in acting and musical theater, Ms. Metzger has performed on stage with a variety of companies and performers. She has appeared on stage at the famed Pittsburgh Playhouse in such shows as The Secret Garden, Pinocchio, and was selected to perform in a production of A Chorus Line for the show’s creator and composer, Marvin Hamlisch, as directed by Mitzi Hamilton, on whom the role of Val was based. Ms. Metzger also has worked under nationally recognized names such as John Amplas, of George Romero fame, Tony-award winner Michael Rupert, and Marion and Nicholas Petrov, the founders of Pittsburgh Ballet Theatre. Ms. Metzger has acted in the production of major motion-picture films, locally set, national-network television shows, various commercials, and has been employed as a show performer at Walt Disney World in Florida. She has also appeared on stages around the country including Los Angeles, Anaheim, CA, and Williamsburg, VA. Ms. Loffredi continues to appear on stage on a regular basis with Paragon Studios’ adult division, Favorite roles include: Elizabeth Proctor (The Crucible), Bella Kurnitz (Lost in Yonkers), Witch (Into the Woods) and Morticia Addams (Addams Family). 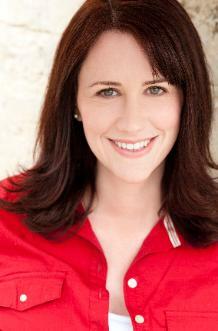 She regularly serves as an acting and dialects coach at numerous venues including local high schools and colleges. In her spare time she enjoys fostering for Animal Friends and gardening.